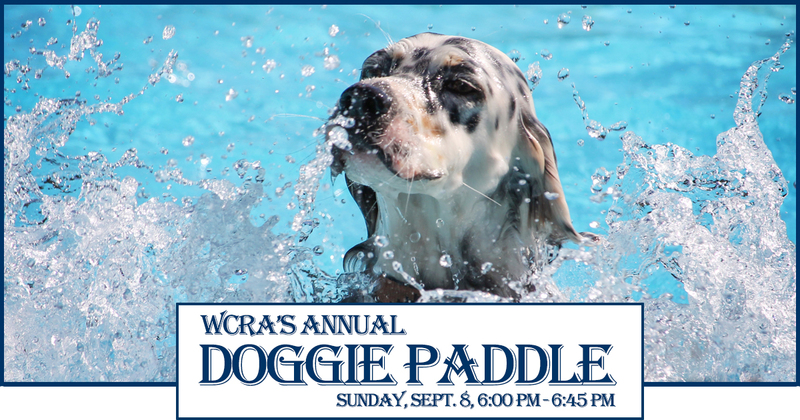 Join us on Sunday, September 9th from 6:45 pm to 7:30 pm for WCRA’s Annual Doggie Paddle. The event signifies the end of our pool season and provides WCRA dogs with an opportunity to partake in the pool and enjoy a swim. To maintain order and ensure a safe and fun event, please make sure your pup is current on vaccinations (including rabies and distemper), spayed or neutered, wears a dog tag with home contact information (valid DC dog license also preferred), is sociable and gets along with dogs, children, and adults.